Investigations have begun into the cause of the devastating fire at Notre Dame, which toppled the Paris cathedral's spire and caused the roof to collapse. Details: Paris firefighters spokesperson Gabriel Plus confirmed the blaze was extinguished. "Now we're in the phase of investigating," he told reporters Tuesday morning. Junior Interior Minister Laurent Nuñez said pockets of fire continued to burn inside the building. Authorities were concerned for the structure's soundness and would conduct checks. 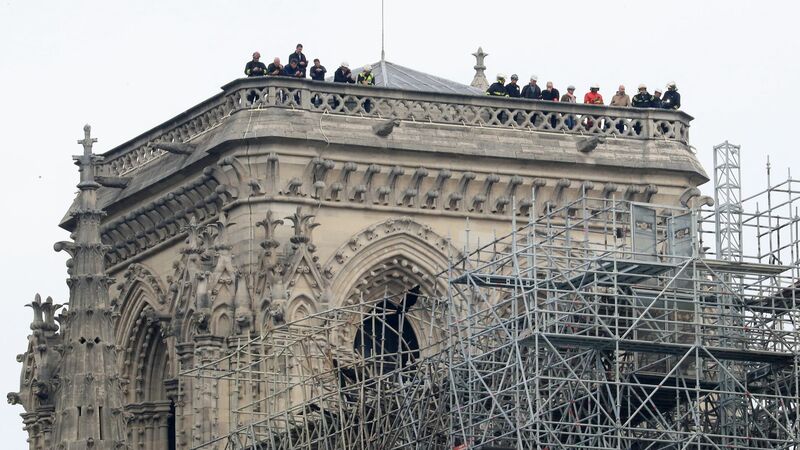 In pictures: Firefighters released video Tuesday morning of the battle to save the Paris icon — which involved 400 personnel.